Are you looking to revamp your marketing strategy? If you haven’t already considered it, inbound marketing is an effective way to turn leads into sales. Using digital strategies, the technique typically involves content marketing, social media marketing, and search engine optimization (SEO). 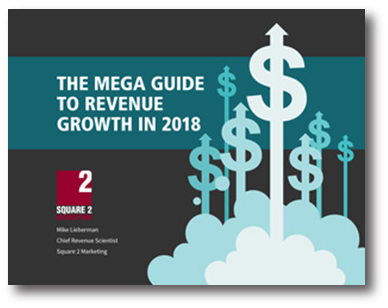 Businesses that still follow a traditional outbound marketing plan typically experience a harder time driving sales in a competitive market. In contrast, businesses that use a more modern, inbound marketing strategy see higher returns. Stats show inbound marketing effectiveness in moving leads through the buying cycle. Although statistics show how a great inbound strategy can be for businesses, many wonder how it actually prompts leads to move through the buying cycle. Essentially, the methodology of inbound marketing can be summed up in four stages: attract, convert, close, and delight. Incorporating inbound can drastically improve your business’s ROI. Inbound marketing works by attracting the customers who are most likely to buy what you’re selling – it enables your brand to get found by the people you want to target. Essentially, once you have your buyer personas fleshed out, you can target them through content marketing, social media, or just about any other inbound marketing strategy. The stage of attraction is effective in quickly moving leads through the buying cycle. Sales teams using an outbound strategy can dedicate too much time to hunting down qualified leads and customers. As such, much of the company’s time is wasted on searching for potential sales, rather than doing the actual selling. In contrast, an inbound strategy requires less time because it attracts interested visitors to your site via your online presence. An inbound strategy is also effective in the sense that you can figure out where your customers are in the buying cycle. An inbound strategy can provide you with an abundance of lead intelligence through your analytic reports. For example, your company website can provide you intelligence on page views, so that you can see whether or not your traffic is viewing your “pricing” page versus your “what we do” page. You can view how long users spend on a given page, the bounce rate of pages, or the conversion rate on your pricing page. Depending on what your analytics tell you, inbound marketing can help you optimize your web content to help move your leads through the buying cycle. By restructuring and formatting according to your feedback, you can more effectively turn visitors into leads. This can then be considered as your second stage of the inbound methodology—convert. To convert new leads into probable prospects, inbound marketing includes calls-to-actions (CTAs) and landing pages. CTAs typically offer an enticing piece of content, such as a marketing resource, in an effort to get visitors to exchange their contact information in exchange for the content asset. An inbound strategy, therefore, is effective in shortening the amount of time spent to gather such information by having the landing pages, CTAs, and content assets, as well as an online presence, already in place. 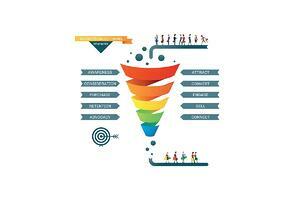 To complete the last stage of the buying cycle, inbound marketing will help you convert your prospects into customers. This may usually involve a form of marketing automation—software that automates repetitive marketing tasks and improves the overall speed and efficiency of the buying cycle. However, after the sale is closed,you will continue to use inbound strategies to interact, captivate, and inspire your existing customer base, even going so far as to turn customers into brand ambassadors.